Sunderland have upped their efforts to sign Ivory Coast and Bournemouth forward Max Gradel, with the player set to leave the club this summer, as reported by the Daily Mail. According to the Daily Mail, Gradel is set to leave Dean Court this summer, with a number of clubs interested in landing the winger’s signature, including Ligue 1 side Toulouse. 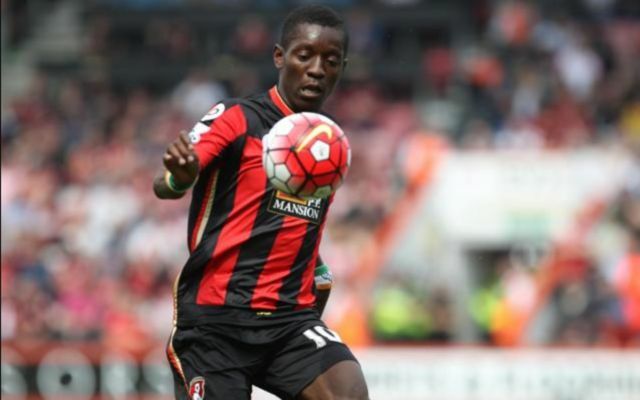 Despite the rumours surrounding Gradel’s future, Cherries boss Eddie Howe has insisted that the Ivorian is to remain in his plans for the forthcoming season, as per the Daily Mail. However this news will not stop new Sunderland boss Simon Grayson in his pursuit of Gradel, who failed to find the net in 11 league appearances for Eddie Howe’s side last season, report the Daily Mail. Should Gradel end up swapping Bournemouth for Sunderland, it’ll be interesting see whether the Ivory Coast international can cement a first team place in Simon Grayson’s side this coming season.